RV (recreational vehicle) batteries come in many different types, and what type is best depends on the useage and conditions the RV will be exposed to. Unlike cars, RV’s use multiple batteries. These batteries are used to power many different systems, both while the vehicle is running and when it is off. 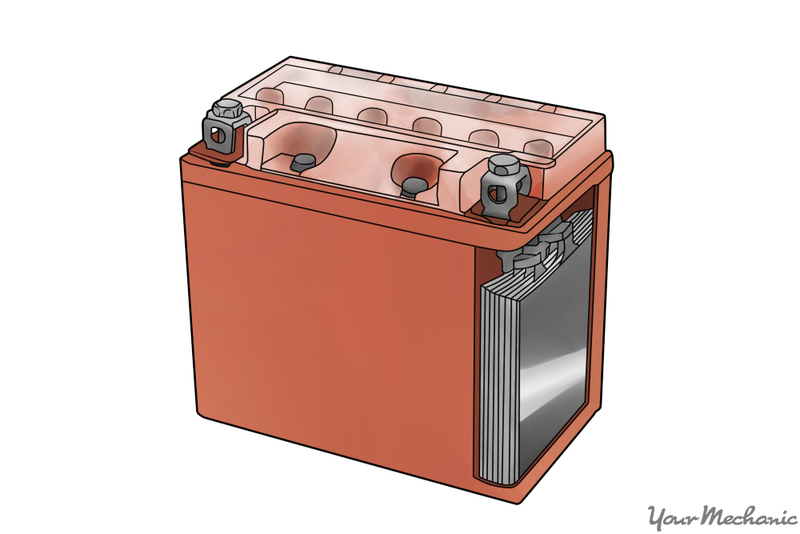 The most common types of batteries are the regular flooded electrolyte battery, the gel type battery, and the absorbed glass matt (AGM). There are also 6- and 12-volt battery options for RV’s. This article will give you information about the different types of batteries, and help you determine which battery fits your specific needs the best. If you are reading this article, you most likely know you need a new battery. But if you aren’t sure if your RV batteries need replacing, check to see if your RV has any of these symptoms of a battery in need of replacement. Note: The battery types described below can come in 6- or 12-volt options. 12-volt batteries are more common, and are are very similar to conventional car batteries - in some cases just larger. Six-volt batteries are bigger and heavier than 12-volt, but generally have a larger amp hour capacity. The 6-volt battery is also generally much more expensive. 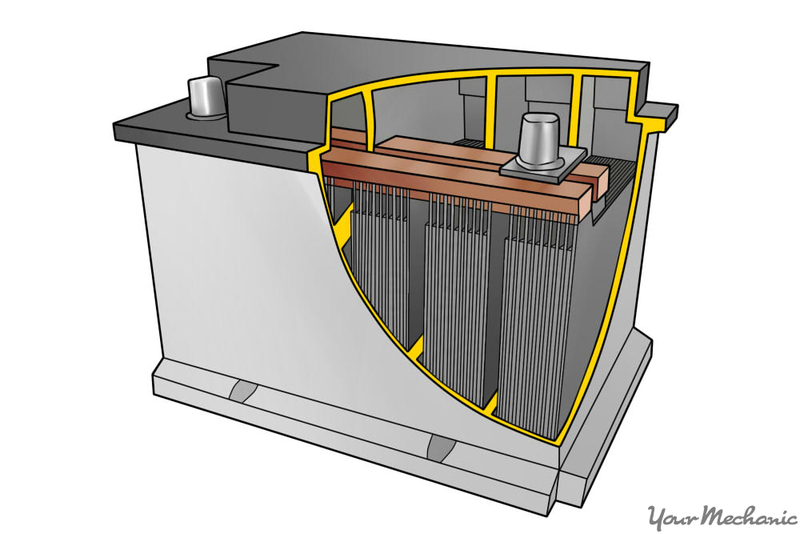 Type 1: Conventional flooded electrolyte batteries. These batteries are the same type as is most commonly seen in automobiles. Conventional batteries require more service than other types of batteries. The electrolyte level in the batteries can drop, and must be restored by adding distilled water. 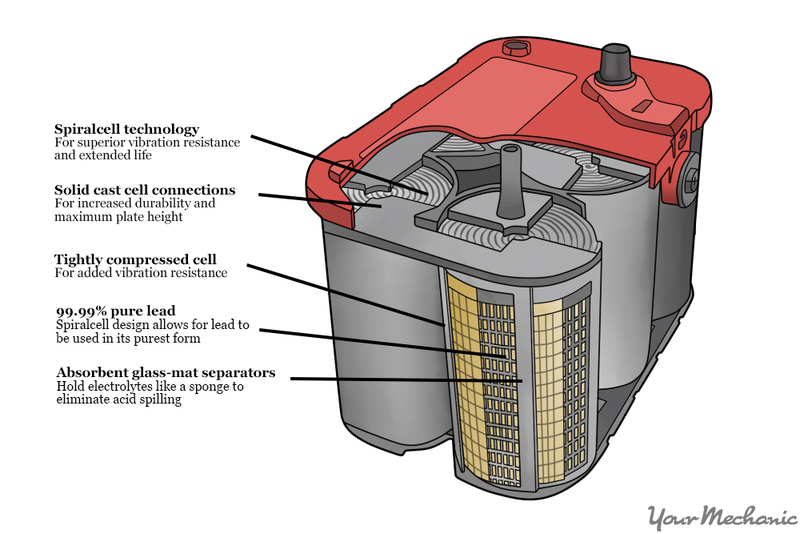 The terminals of flooded type batteries also require more care and cleaning than other types of batteries. How difficult it is to access and clean the battery should be considered when making your decision on which type of battery to purchase for your RV. Warning: The fluid inside the conventional batteries can burn skin and give off toxic fumes. Care should be taken and proper protective materials used when handling them and performing any service. If you are uncomfortable performing service on your battery, have a certified mechanic come out and service the battery for you. Type 2: Gel batteries. Gel batteries are a maintenance-free type of battery. They require no service, as they are self-contained. Being self-contained also means that they can be mounted at various angles, and they are generally slightly tougher than flooded cell batteries. The gel batteries use a gel to suspend the electrolytes, instead of the water used in a flooded cell battery. Gel batteries have a great slow discharge rate, and can perform well in higher-than-average temperatures. The biggest problem with gel batteries is that the RV must be able to charge this type of battery - there are specific requirements for the charge rate and voltage, and failing to adhere to these requirements can cause permanent damage to the battery. 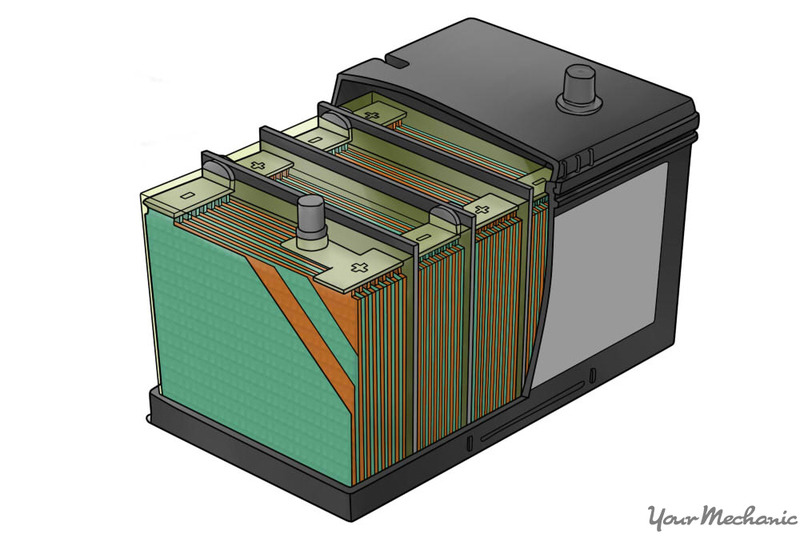 Type 3: Absorbed glass mat (AGM) batteries. AGM batteries use an absorbed glass mat to wick the electrolyte solution between the battery plates. They are the second most commonly used type of battery. AGM batteries generally last the longest of any type of battery, as long as they are not discharged completely. These batteries do not need service, and if the battery case is broken, nothing will leak out; it is completely self-contained. AGM batteries excel in their ability to provide high bursts of amps. This information will hopefully help you choose what battery is best for your circumstances. RV batteries are not a one-size-fits-all choice: different types of batteries will be used depending on the conditions and requirements, which are unique to every RV owner. The certified mechanics at YourMechanic are standing by to answer any further questions on this subject as needed. Q: Car not getting power from battery. Q: Starting disabled service throttle. That's all it says, it wont start, what do I do ?